Why settle for lackluster gardens filled with dull, ho-hum plants? 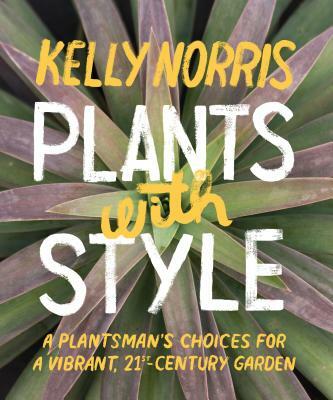 In this spirited, provocative book, plant guru Kelly Norris calls for a garden revolution: out with the boring plants and in with the exciting newcomers that will make your jaw drop and your pulse quicken! A passionate horticulturist and lifelong gardener, Kelly is the ideal guide to the botanical riches available to today’s gardeners. In chapters on environment, structure, seasonal standouts, and plant combinations he shines a spotlight on the A-list plants in every category—plants that will thrive, not merely survive. Along the way, he shows you how to forge a personal style in harmony with your garden’s setting and local environment. As Kelly puts it, “A garden is the best way to savor life on earth.” Let Plants with Style guide you to the plants that will provide a richer, more fulfilling connection between you and your own patch of soil. As a speaker, plant breeder, and expert plantsman, Kelly Norris has garnered national acclaim for his high-energy, zealous presentations. He is the award-winning author of four books, the horticulture manager at the Greater Des Moines Botanical Garden, and the director of Horticulture Now. Visit his website at kellynorris.com.